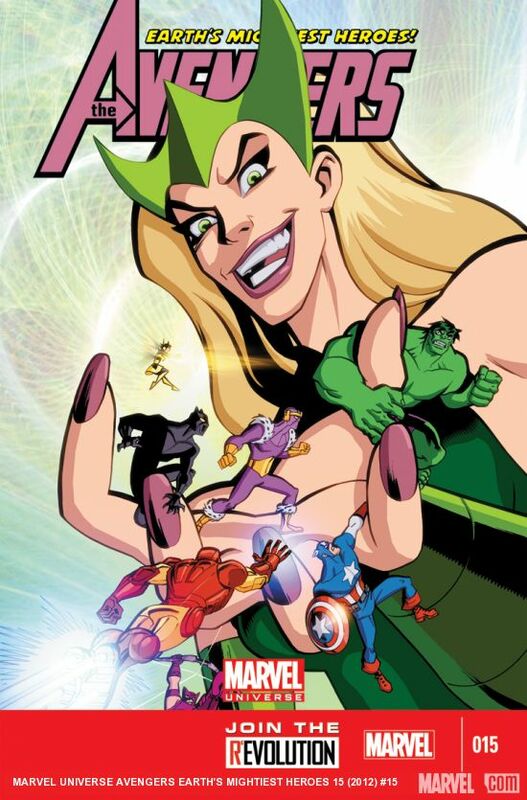 It’s one of those things that makes you ask “Who DECIDES this stuff?” In response to colorist Jordie Bellaire’s tumblr post this morning, today has been deemed Colorist Appreciation Day on Twitter. 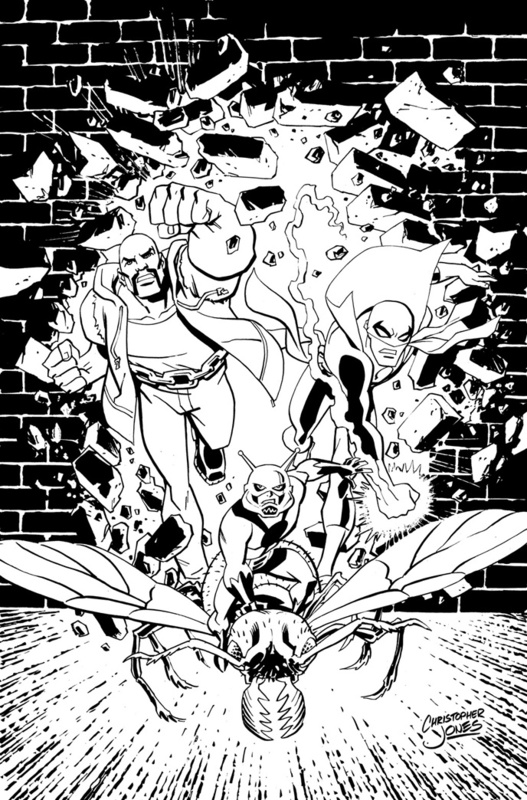 Or, since it’s on Twitter, #coloristappreciationday. 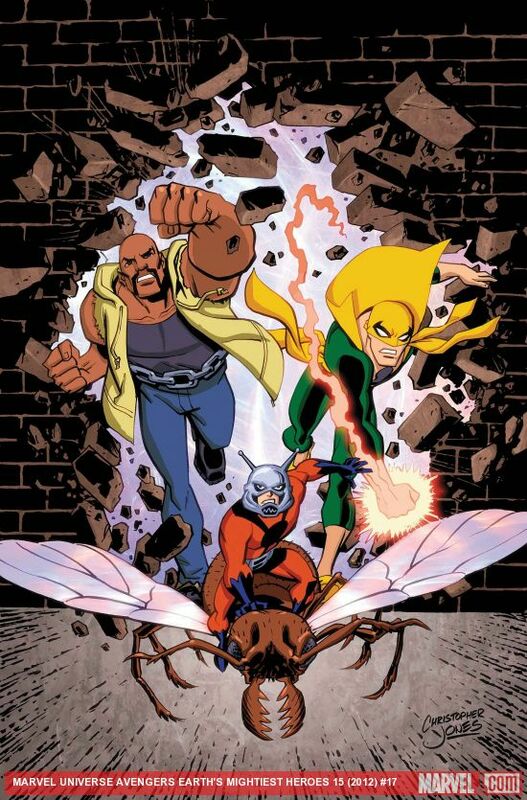 I color most of my work outside of comics myself, but most of my work in the comics field is drawn by me but colored by another artist. And make no mistake, coloring can make or break a piece of art. I’ve benefited from good coloring and suffered terrible coloring. 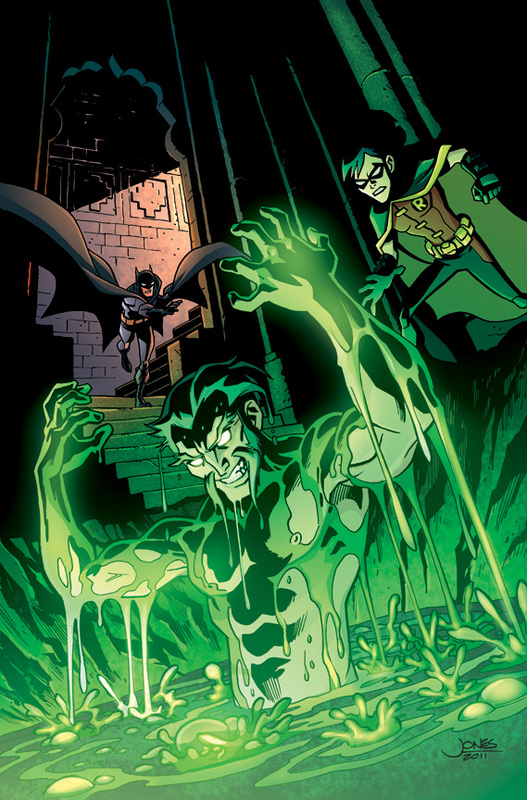 As an example of how good coloring can *benefit* artwork, I direct your attention to my gallery of Young Justice covers featuring the colors of Zac Atkinson. 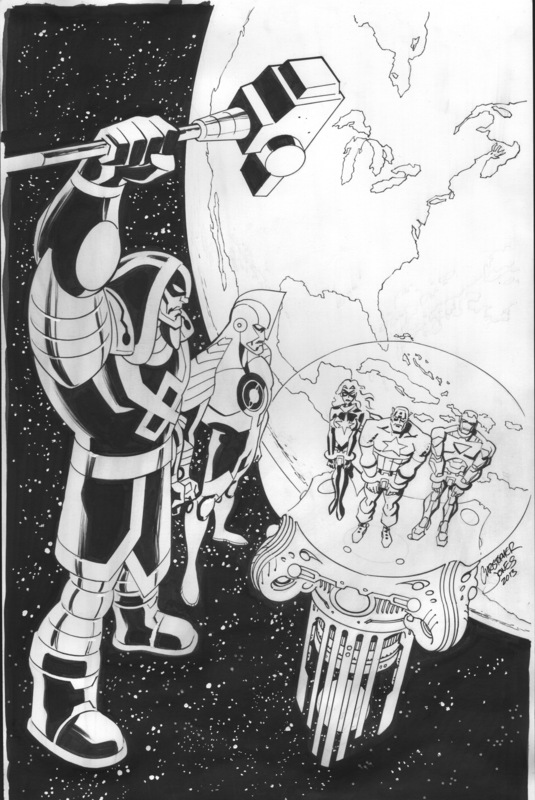 You can see his work as well as my uncolored line art for each cover. 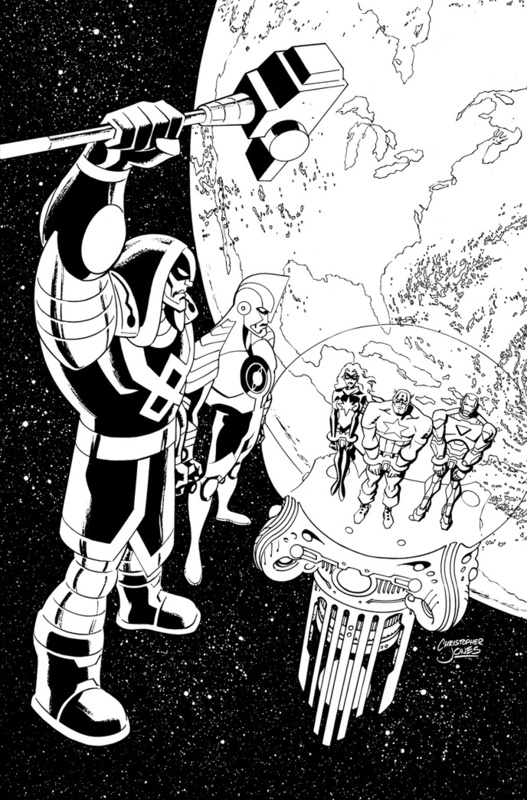 You can find Zac on Twitter at @zacatkinson, and his website is www.evilby.me. 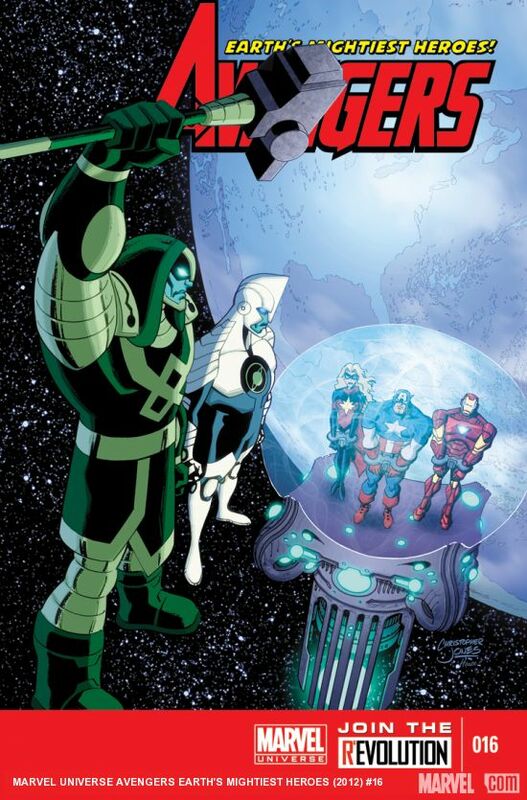 So thanks to Zac and the other great colorists I’ve gotten to work with over the years! 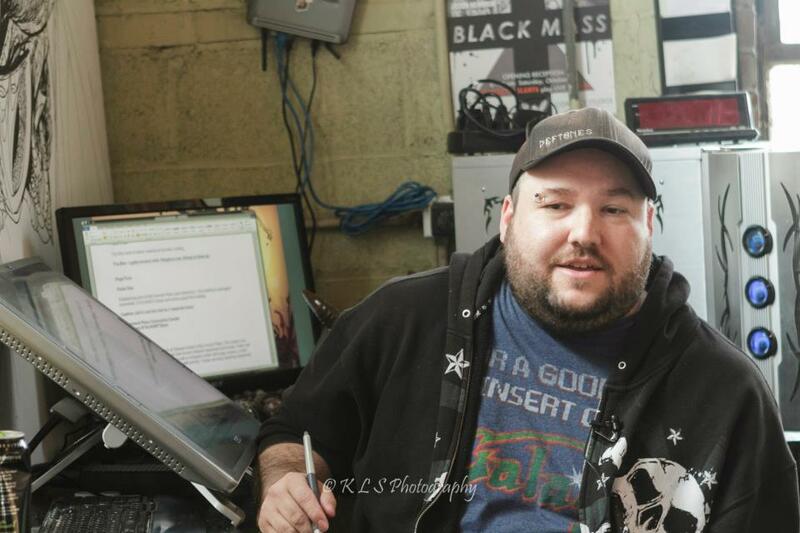 Appreciate colorists today! 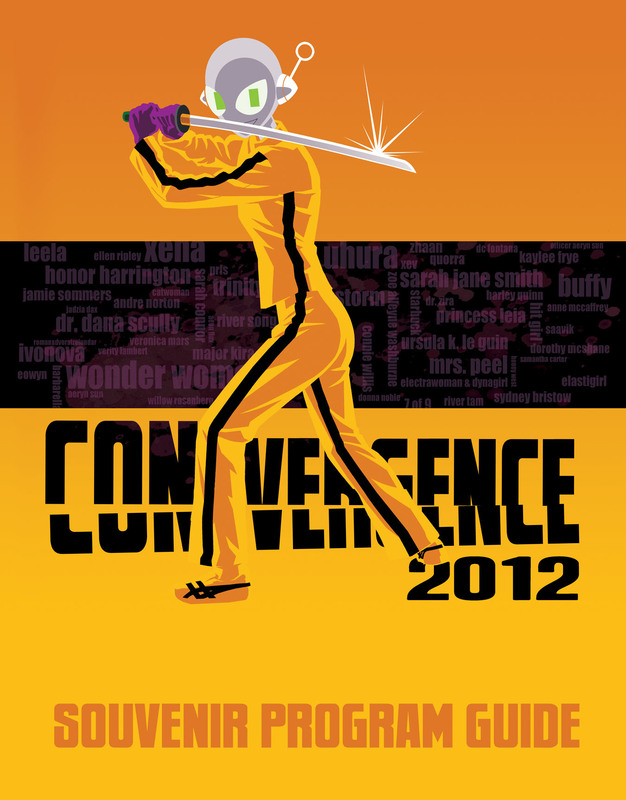 CONvergence 2012 is over, and my thanks go out to everyone who helped make it such a fabulous success yet again. The metrics are that total memberships rose to the staggering number of 5,980, with a little over 5,600 members actually managing to attend and occupy the building (AKA the “warm body count”). 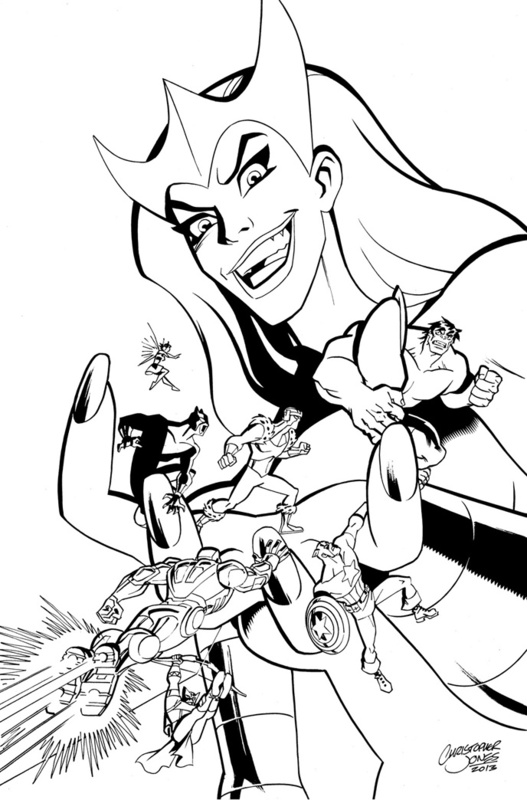 So for my last batch of images for CONvergence 2012, here’s a little more artwork I did for the convention this year. 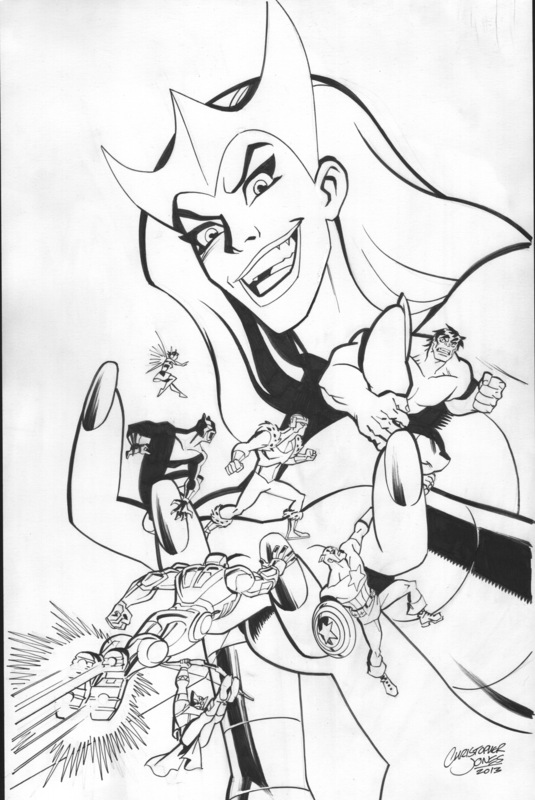 Here was the cover art for the Souvenir Program Guide. The Kill Bill image seemed like a nice alternative to the omnipresent Wonder Woman imagery for our 2012 “Wonder Women” theme, and I knew there was going to be a Kill Bill-themed sketch at the Opening Ceremony. I didn’t realize there was ALSO a Kill Bill sketch being organized by a different group for the Closing Ceremony. Maybe that’s Overkill Bill. This was the cover art for the pocket-sized programming book, which presents our programming schedule in condensed grid form. 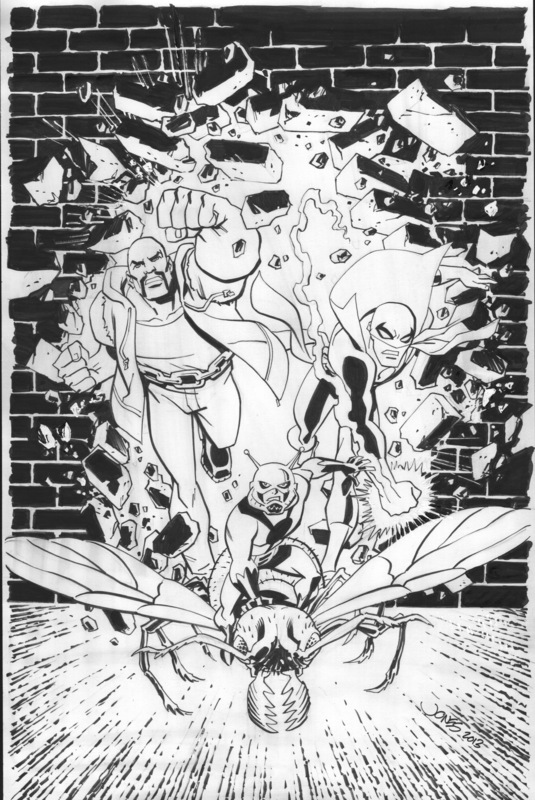 It’s cleverly referred to as “The Grid,” and it’s a running gag that I try to do cover art for this each year that both reflects the theme and has some sort of “grid” reference as well. This year we went for the Ms. Pac-Man treatment. 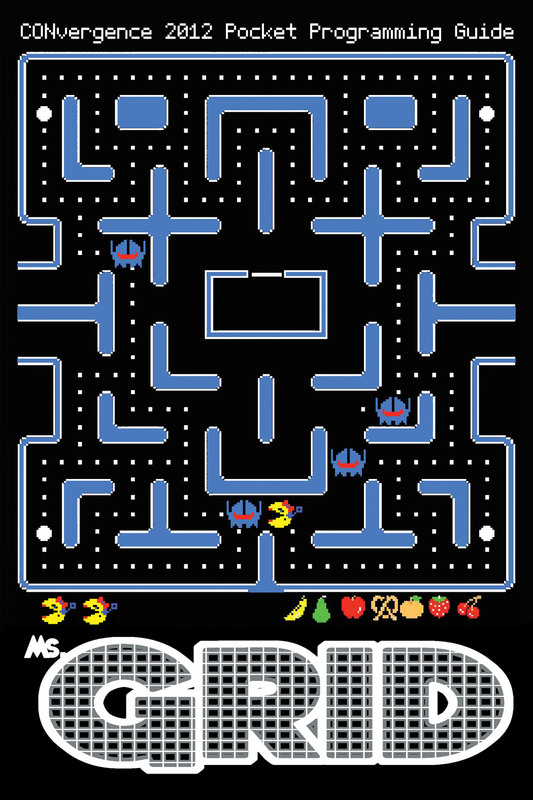 That’s a Connie-fied Ms. Pac-Man chasing around the maze with Mark 2-style Ghosts. 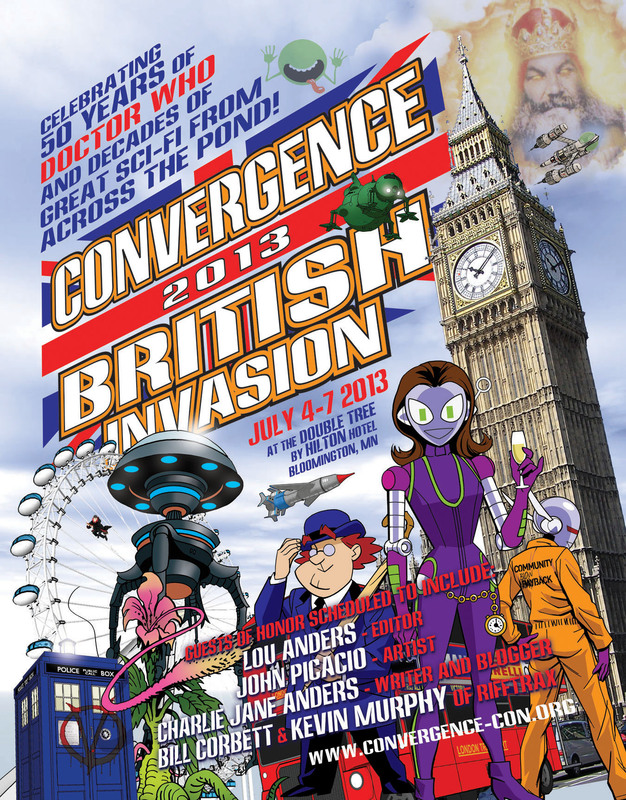 And finally, here’s the ad for CONvergence 2013, which will have the theme of British Invasion. I managed to pack quite a few references in here, but I still didn’t manage to include The Prisoner, Sherlock Holmes, James Bond, and so many others! Well I’ve got a year to come up with something to work them into! 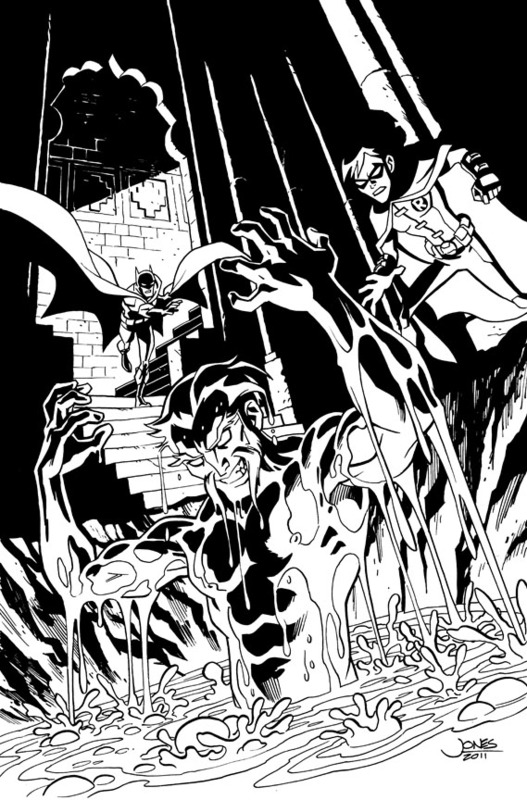 Now, back to work on Young Justice!